The holiday season is drawing closer, but your bathroom isn’t exactly in shape for the inevitable scrutiny of visiting family members. The mere thought of crazy aunt Cathy searching for a bottle of hypo-allergenic air freshener is enough to make you freeze with fear. 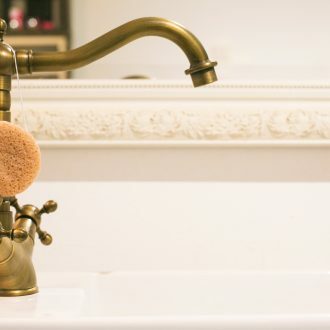 Don’t worry, with these five tips and a few household tools, your bathroom just might pass the white glove test. You’ll even want to show it off! How long since you cleaned the wall sconces? Take down the shades to soak in a mixture of warm water and dish soap, hydrogen peroxide or another cleaning agent while you wipe down the fixture with glass cleaner, polishing to a high shine. Since you have the screwdriver out, remove and clean the electric outlet covers, too. Make sure to handle writing carefully, turning off the circuit if necessary. New paint or wallpaper can make the bathroom look fresh again. Use semi-gloss interior latex in a pleasing shade to cover chips and water spots. A coat of white ceiling paint will brighten the space even more. Wipe down moldings and doors and paint them a contrasting color. 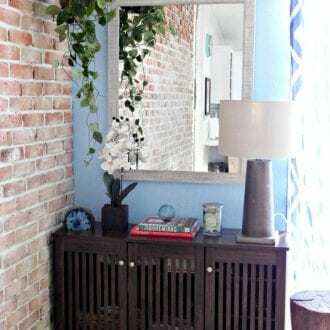 If you’re ambitious, consider one of the new metallic wallpapers or peel and stick murals to create points of interest. 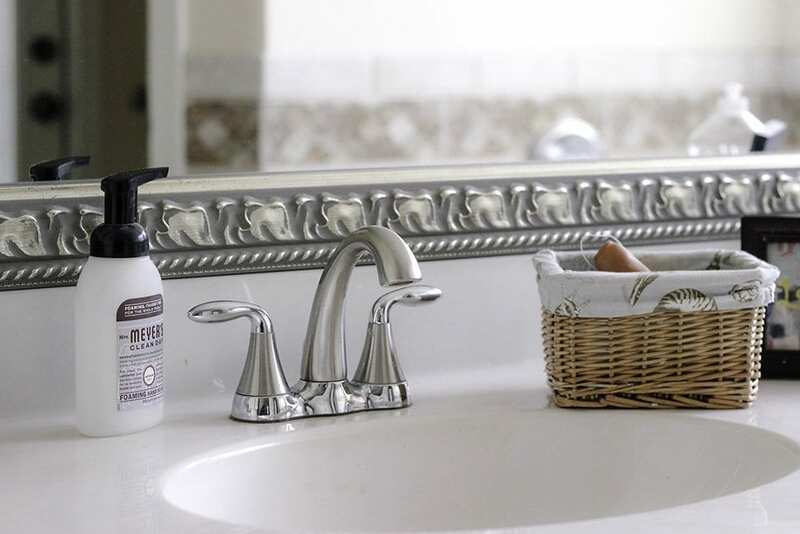 Before hosting, make sure the bathroom has essential supplies, such as toilet paper, extra soap, tissues, air freshener, clean towels and hand lotion. Take inspiration from the deluxe ladies’ bathrooms at theaters and casinos and offer a blow dryer and hair spray so your female guests can maintain their holiday hairdos while visiting. 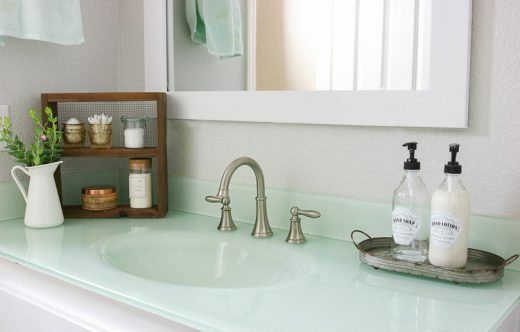 The bathroom decor should reflect your style and perhaps incorporate a holiday theme. Now is the time to get out those embroidered hand towels and the special bar of gardenia soap your mother-in-law gave you as a birthday gift. Clean the mirrors until they sparkle and reflect light. Put out candles, rugs, flowers, potpourri and other beautiful things for your family and friends to admire. Be honest — does your bathroom need something? Consider investing in a luxurious shower curtain, shelving, new towel holders, cabinet knobs or an elegant framed mirror to make the bathroom look larger and reflect sunlight onto the walls. 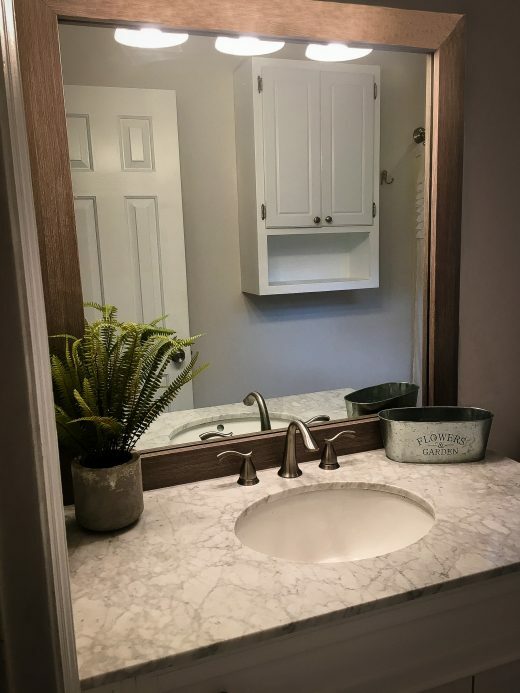 If your current mirror is nice but doesn’t have a frame, solve the problem with a custom frame that will easily adhere to the existing mirror. Just enter your specifications at framemymirror.com. 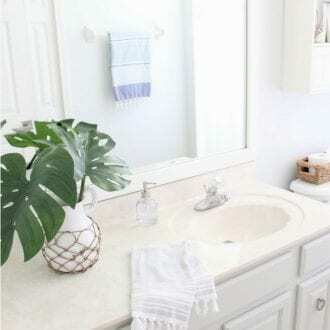 Depending on your budget and time schedule, preparing the bathroom for the holidays can be a small project you can complete in an afternoon or a larger one that takes a week or more. Either way, remember the small touches that count the most, and don’t forget to ask crazy Aunt Cathy to name her favorite brand of air freshener!